Originating from South Africa, the South African Boerboel is a large Molosser type dog with a natural guardian instinct. The Mollosser is a large, solidly built dog, and many Molosser breeds are used for search and rescue, such as the Saint Bernard and Greater Swiss Mountain Dog. The Boerboel, like many of the Mastiff breeds, is used as a homestead guardian of working farm dogs. The Boerboel is thought to have been created by European settlers crossing strong, large working breeds with native domestic dog breeds. This began when the settlers arrived at the South African Cape in the mid-1600’s. The AKC recognized the Boerboel in 2015 as part of the Working Group. The Boerboel is best-suited for a home with large square footage and property to roam. This breed is very sensitive to extreme temperatures, both hot and cold, so take your climate into consideration. The Boerboel is energetic and intelligent. Obedience training is recommended with this breed based on the sheer power of this dog, and an owner’s need to be in control. 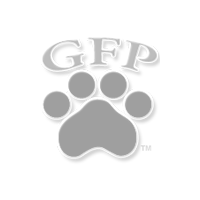 Make training an enjoyable thing and watch the bond and obedience between you and this awesome breed grow stronger and stronger. The South African Boerboel is a moderate shedder. Give this breed a good brushing once or twice a week, and they will love you for it. As with all breeds, weekly tooth brushing and monthly nail clippings are recommended. While it is a large breed, the Boerboel’s energy level is higher than its Mastiff cousins. A long daily walk or a vigorous game of fetch is recommended. Keep in mind that this breed was bred to be a worker, so keep him or her active for a happy and well-adjusted dog. They are 24 to 28 inches in height and weigh between 110 and 220 pounds. The South African Boerboel is known as the Boerboel and the South African Mastiff. This is a loyal, charming, and good-natured dog breed that craves human companionship. 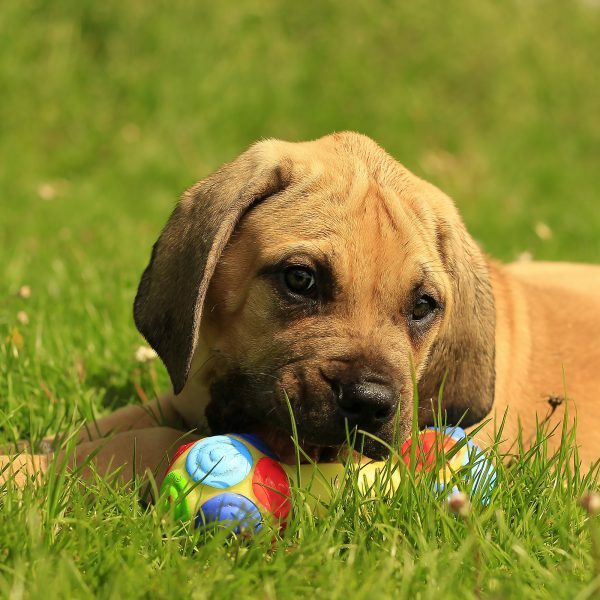 Here are a few more things to know about African Boerboel puppies.